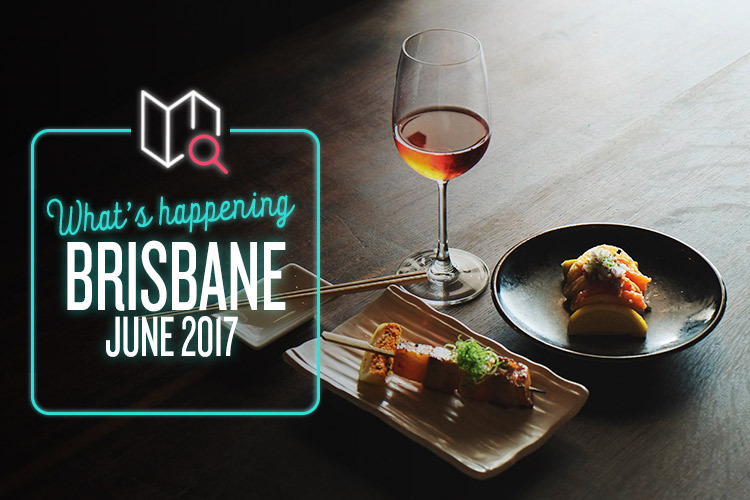 Looking for a bit of event inspiration in Brisbane this month? Let’s see what we can do about that! If life is a cabaret, then it’s a cabaret squared this June thanks to the Queensland Cabaret Festival. Sink into scintillating performances from Australian and international performers combining a saucy mix of music, comedy, dance and everything in-between. The queen of NYC cabaret Bridget Everett (from Inside Amy Schumer) and host of club SWIZZLE Murray Hill have joined forces for one night of naughty hilarity, while home-grown satirists The Foxy Morons will be setting the stage on fire (not literally) with their risqué show I Love a Sunburnt C*ntry. There’s oodles more going on over the festival’s two-week span, so check the program for full details. If supporting small business is your thing, then you’d better get down to Brisbane Twilight Market! It’s the only Brisbane marketplace that sells 100% locally handmade products, and this year it’s going to be jam-packed with unique goodies from indie makers and boutiques. Whether you’re browsing for a one-off gift for someone special or you just have a penchant for artisan knick-knacks, thingymabobs or doohickies, you’re sure to find something to suit your tastes. Alongside all the market-y goodness, there will be food vendors serving up delicious eats, live music performances, and even a free craft workshop. We’ve discovered the secret to happiness: head to your favourite fancy restaurant, bite a selection of their finest culinary creations, sip on a glass of expertly paired wine while you’re at it, and then stroll (or roll, depending on how much you ate) over to another restaurant to do it all over again. That’s basically the name of the game at Bite Sip Stroll, where you’ll experience a sampling of gourmet cuisine from some of Brisbane’s top restaurants – Esquire, Moda, Saké and Urbane – all in one delicious afternoon. Our only piece of advice? Wear comfy, loose-fitting pants. You’re gonna need ‘em. Although we don’t condone dogs drinking beer in any way, shape or form, how cute would it be to see one holding a mini stein of lager? Nawwww. Anyway, you probably won’t see that at Bark & Brews, but what you can do is take your four-legged friend for a bit of pampering at the dog grooming salon while you sit back and relax in what’s described as a “GIANT” beer garden. We like the sound of that. Once you and your pooch are suitably clipped and watered, respectively speaking, head over to the off-leash area for playtime. And if Fido makes a friend, he can even get a happy snap with his new pal over at the doggie photo booth.